Now she is 17, and identifies as asexual. She doesn’t feel sexually attracted to other people, but she yearns for romance. She wants to hold hands, cuddle, and be intimate with someone special. I’m thrilled to tell you she went on her first date the other night! They held hands! He’s like a young George RR Martin, they’re so cute and nerdy together. I’m SO happy with this new development. She tends to brim over with teenage angst and melancholy, so it’s wonderful picking her up from school and she’s smiling so hard, her face hurts. The rush of happy hormones and feeling connected to someone special to her is better than any pill she could take! I asked if he is her boyfriend, and she said she didn’t know, but she would ask him. She has ups and downs, and frets over being too direct with him. 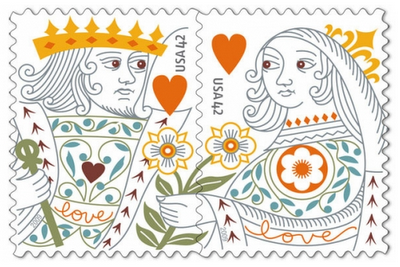 King and Queen of Love! That’s where I’ve been with my partner Matthew for the past six years or so. We can’t go back to the infatuated stage with each other, but since we are polyamorous, we can feel secure while flirting with other people and enjoying novel experiences. Anyway, my daughter shared her list of curated date ideas with me and gave me permission to share them with you. I think they’re so cute! She made most of them up, and collected some from the internet. I want to do a lot of them, how about you? Gather up a bunch of pillows and blankets. Make a pillow fort. Success. Make popcorn. Browse Netflix, and watch your favorite shows with me. Make me watch a scary movie with you. I want to be able to hug and cuddle with you when I’m scared. Please. Take walks together. Collect flowers. Try to find as many neat things as possible. Examine fun houses. Using scarves, masks, goggles, outfits, face paint, etc. have a costume-off/fashion contest. Let me play video games with you. Teach me your ways. We could make tea, light a fire/turn on a Youtube video of a fire, cuddle up in warm, fuzzy blankets and watch cold TV shows/movies, e.g., Game of Thrones, Frozen, etc. Write stories/poems about each other. Write about how we see ourselves/each other. 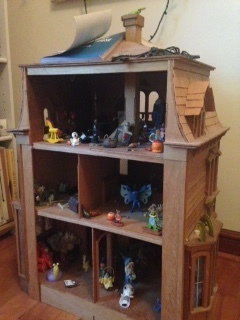 Rearrange my haunted dollhouse. Just for fun. If you want. Roleplay some kind of scenario, just for the sake of doing it. It sounds fun. It could end in romance if you want. Watch a dumb movie, and narrate it/joke about it/talk for the characters. Have two person parties, with cake and tea and maybe decorations. A picnic somewhere, maybe even just in the backyard. Play a game, such as chess, checkers, charades, monopoly, etc. Light a fire in a fire pit/fire place. Burn things. I mean, not LIVING things. Just like… paper and stuff. Go out in the rain. Get soaked. Splash in puddles. Skid around in the mud. Fun stuff! Teach me how to dance. Please. I need it. Go camping in the backyard. Pitch a tent together, light a fire, roast marshmallows, tell ghost stories/read to each other, stargaze, sleep in sleeping bags. Play with each other’s hair. Seriously, if I’m dating you I probably want to touch your hair. Go out at night during the summer, watch fireflies, star gaze, tell stories, etc. Get to know each other. Tell me something I wouldn’t know about you. I’ll do the same for you! We should go to a Starbucks sometimes. I don’t know why, that just sounds nice. PS: I’ve never been to Starbucks! Have a sleepover at my or your house. Tell stories, read books, cuddle, and so and such. Put together a puzzle. A big one. With a pretty picture. Plant a tree/flower/s together, and name it something lovely. I would like a chance to describe what I like about you to you, and maybe you’d like to do the same to me? Visit a museum/the zoo/a monument. Take pictures, if allowed. Take a road trip, if one of us is able to drive. Or we could take a bus or train. We could go to another town, explore, and then come back. Plan trips to places we’d like to go. Tell about what we’d like to do there. Look at maps and pictures of the place. Find out what we’d pack if we went there. We could play Truth or Dare, if you’re feeling up to it. I don’t generally do it, but if I trust you I might. I’d love to go out for ice cream. What’s your favorite flavor? Mine are bubble gum, mint, and cotton candy, but not together. Make an adventure book of things we’ve done, things we’d like to do, and who we are. Try to watch all the Harry Potter/Lord of the Ring/The Hobbit/Star Wars/etc. movies in one day/night. Go to a library. Check out books together, read, and maybe get something to eat afterwards. We could help each other study. I’m good at science, history, and writing. How about you? What are your strengths? If you want, we could join a club together. Photography, drama, art, and charity drives sound good to me. Put together a playlist that represents our relationship. We could take turns submitting a song. Go to the Butterfly House. Look at butterflies. Show me your favorite Youtube channel or your favorite music. I can do the same, if you want. If you or I have a dog, we could take them to the dog park. Read fairy tales, and then reenact them. We would have to play all the parts ourselves. Play a scary game, and take turns trying to survive. Go to a humane petting zoo. I like animals. I hope you do, too. Let me see if I can do your tarot reading. Tarot are ‘magical’ cards that read your future. Make paper dolls together. Play with them, just for fun. We could start a collection together, and slowly add to it. 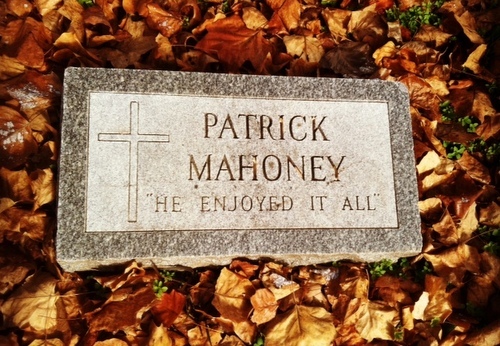 Visit a cemetery. Remember people we don’t know. Put stones on their graves to show our respect. Go to a thrift store. Buy as many neat things as we can with ten dollars. ADVANCED: Buy cool stuff with FIVE dollars! If you’re into it we can play card games. Such as… Magic the Gathering or Pokemon. We need to play Dungeons and Dragons. I’m sorry. We have to. If it’s a rainy day, we can go on a search and find. We could look for rainbows, mushrooms, etc. If it’s not a rainy day, we can look for things like coins, four leaf clover, and other odd things. Do face paint together. Take turns doing each other’s faces. Use a Ouija board and survive. Eat a bunch of jelly beans, and try to find the best flavor combinations. Go into a mall or airport, and then we could make up stories and names for the passing strangers. Create a Frankenstein out of magazine clippings. Go to a festival or convention together, and have fun! Try to communicate without using words or sounds. Maybe for the entire date/period of time we’re together for a meeting. Watch as many MARVEL movies as possible. Try to recreate Pinterest pins. It’ll be fun, even if we fail/make a mess. Go to an art museum. Pick out favorite piece in each room. Pretend to think they are for sale. Dress up and go to the symphony. My dear, your wish is my command! I’m taking them to Legend of Zelda tonight! May all her dating dreams come true… and yours, too! She’s imaginative. That list is longer than my arm. Wow! Those ideas are fabulous no matter your age! Way to go, Kendra, for teaching her to see the magic in the world around her! She is going to be a wonderful partner for someone!! !